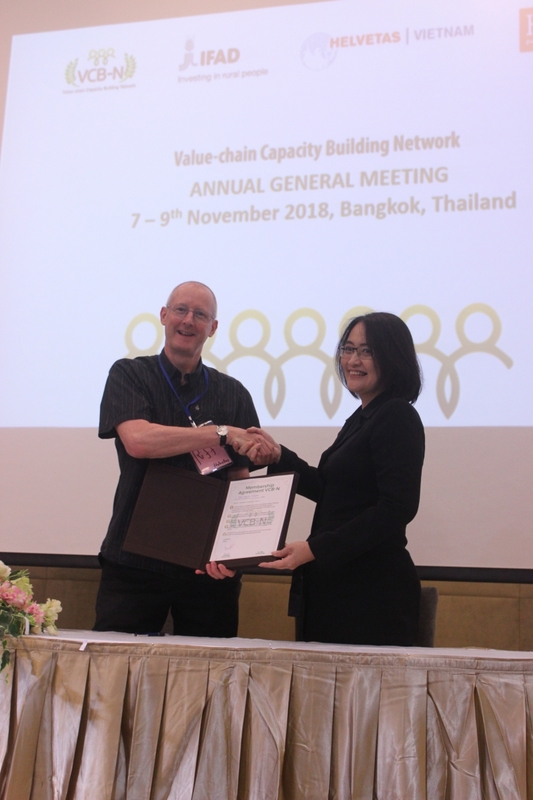 The VCB-N held its Annual General Assembly in Bangkok from the 7th to the 9th of November taking big steps forward in the further development of its network. 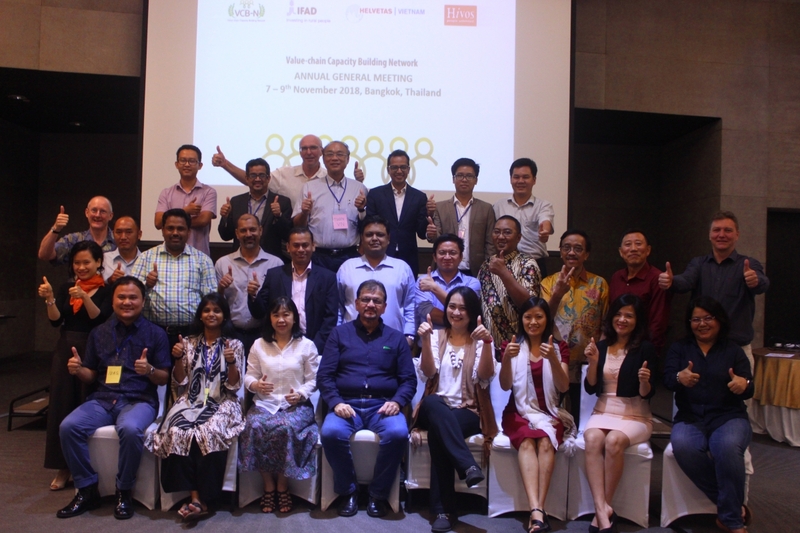 The Value Chain Capacity Building Network (VCB-N) is a regional network that aims to provide professional advisory services and capacity building on Value Chains and Market Systems Development (VC & MSD) in the Asia and Pacific Region (APR). 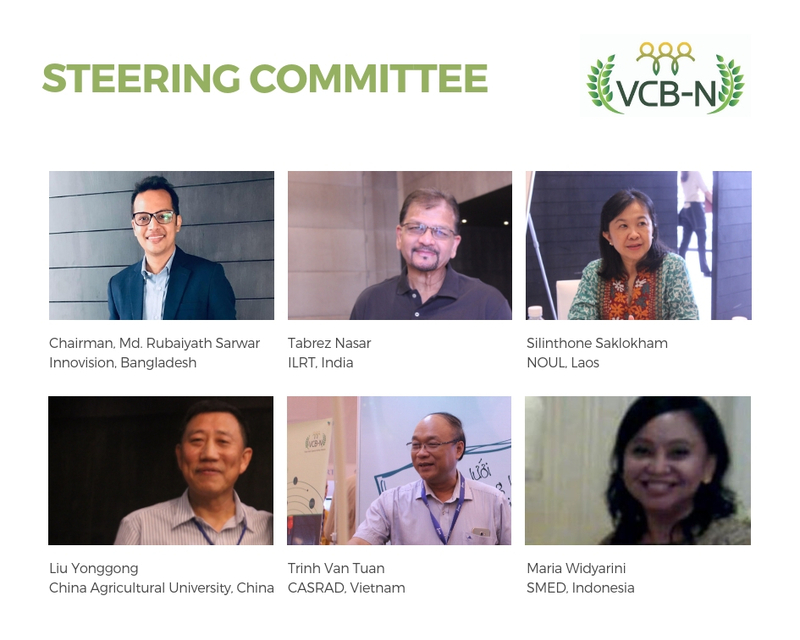 The VCB-N is pulling together expertise from seven countries (Bangladesh, China, India, Indonesia, Lao PDR, Myanmar and Vietnam) and 12 organizations in the region that specialize in professional training, capacity building, policy research and project design. 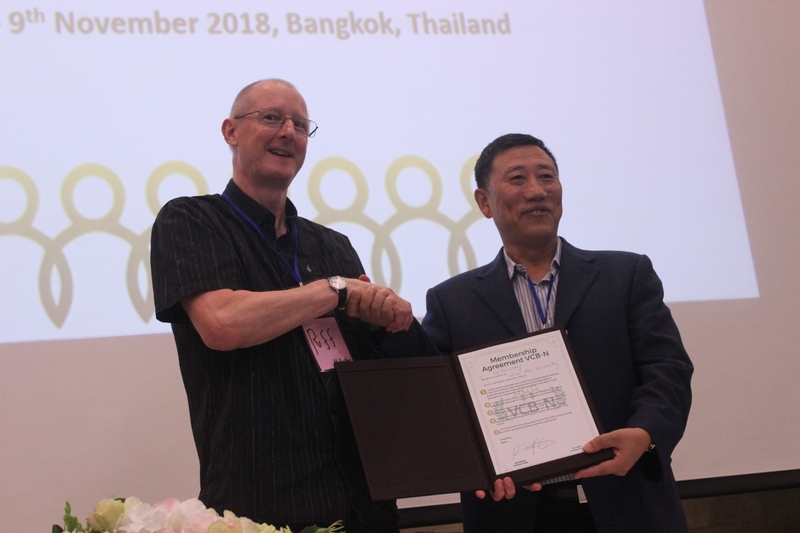 The VCB-N was founded in 2016 in first instance to meet the demand for professional development of staff of IFAD funded and other projects in the area of Value Chains/Market Systems in the Asia and Pacific region. 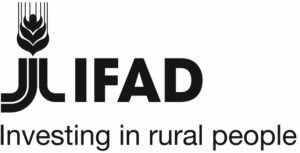 For this reason, a 4-year IFAD funded project was defined to facilitate the initiation of the VCB-N with the aim to build an economically viable network of Centers of Excellence that continues to deliver services to IFAD and other donors and development projects with VC/MSD components and pro-poor orientations. 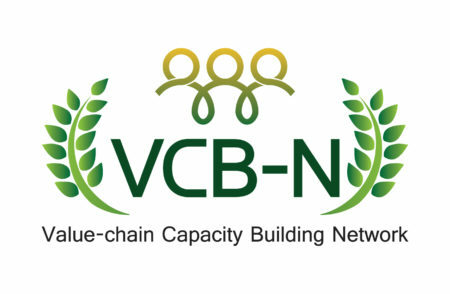 Through access to a thriving network of qualified consultants / experts working in the region, the VCB-N is able to offer needs-based and tailored 360 degree VC solution support to its clients. 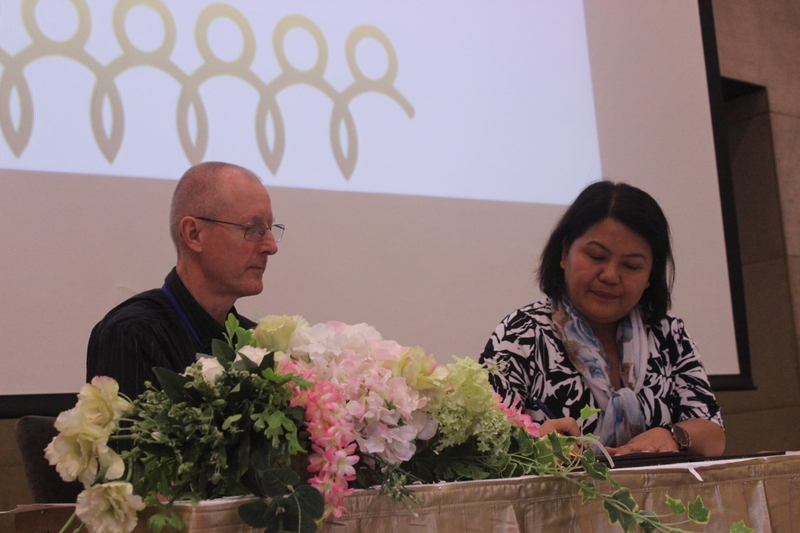 As the VCB-N matures, new countries and members are expected to join in. 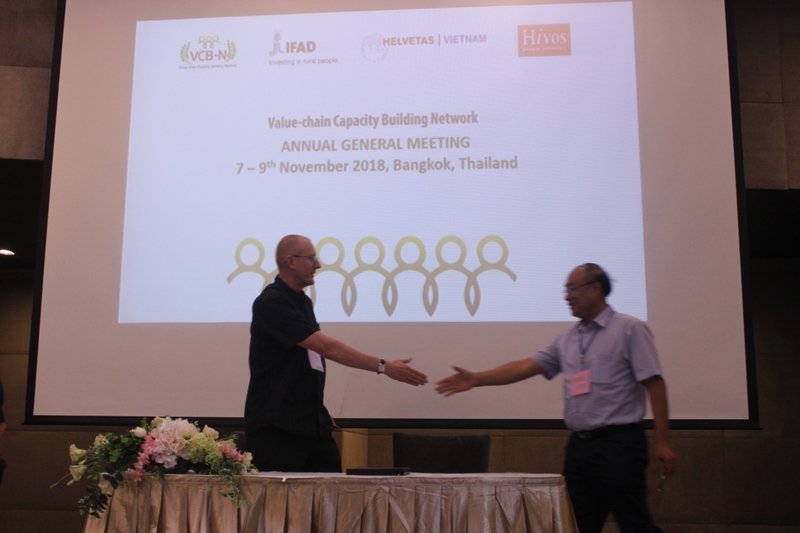 During the second Annual General Meeting of the VCB-N, some milestones in the maturing process of the network were celebrated. 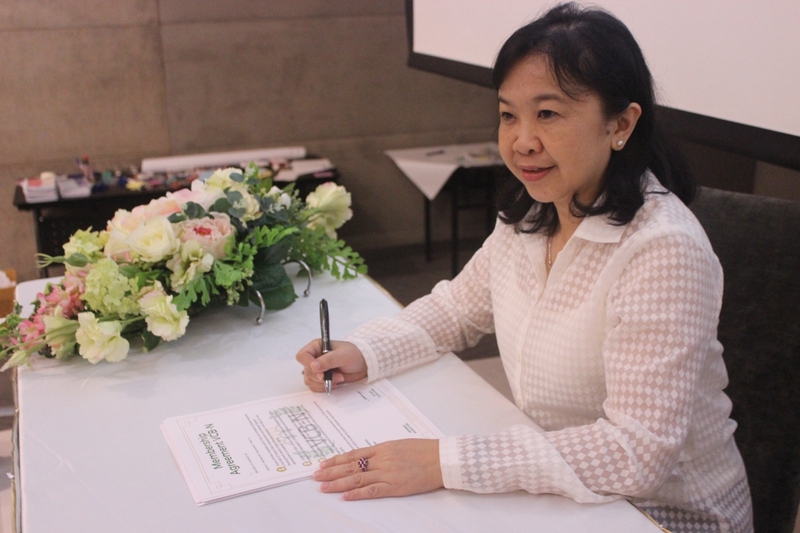 11 members of the VCB-N signed a membership agreement formally accepting the newly minted VCB-N Charter and Business Plan and committing to comply with the financial and in-kind contributions contained in the Charter. 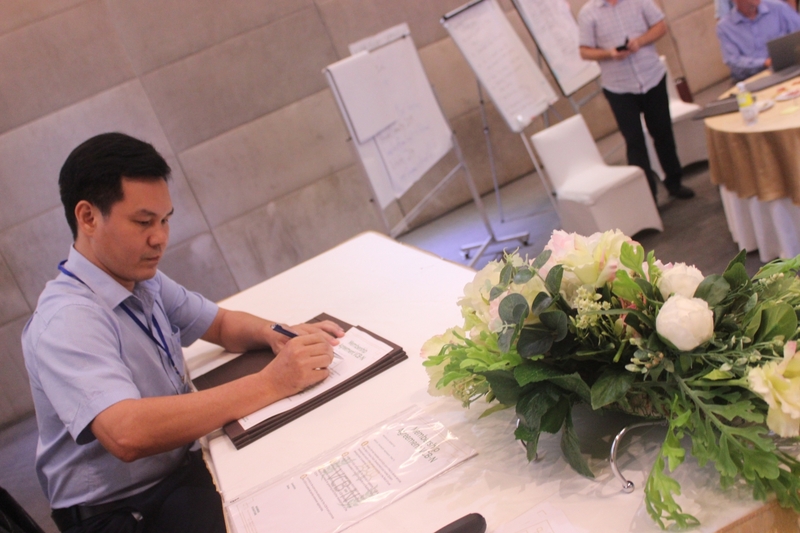 This step is, besides confirming the genuine commitment of members to the VCB-N, significant in terms of the transition from a project-funded to an independent and self-sustaining network. 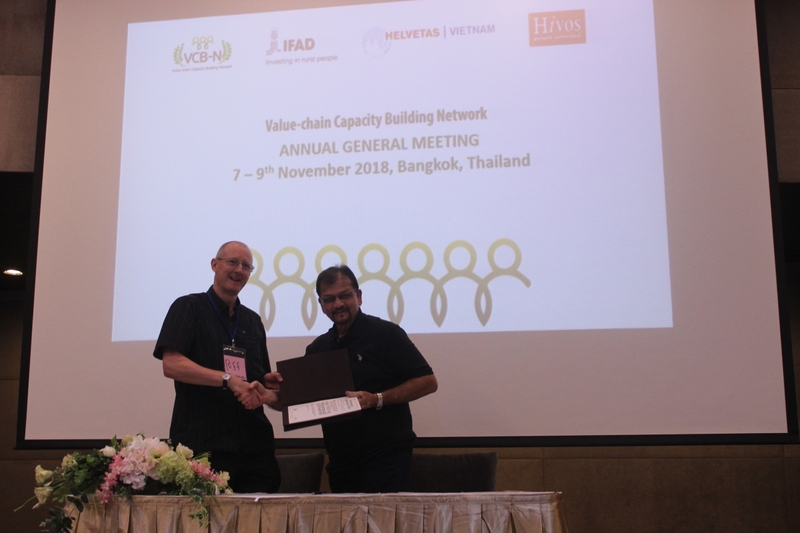 During the AGM from the 7th to the 9th of November in Bangkok, the former chair of the VCB-N Dr. Tabrez Nasar, representing the Institute of Livelihood Research and Training (ILRT) India, passed the chairmanship to the new VCB-N chair Mr. Rubaiyath Sarwar representing Innovision Consulting, Bangladesh. 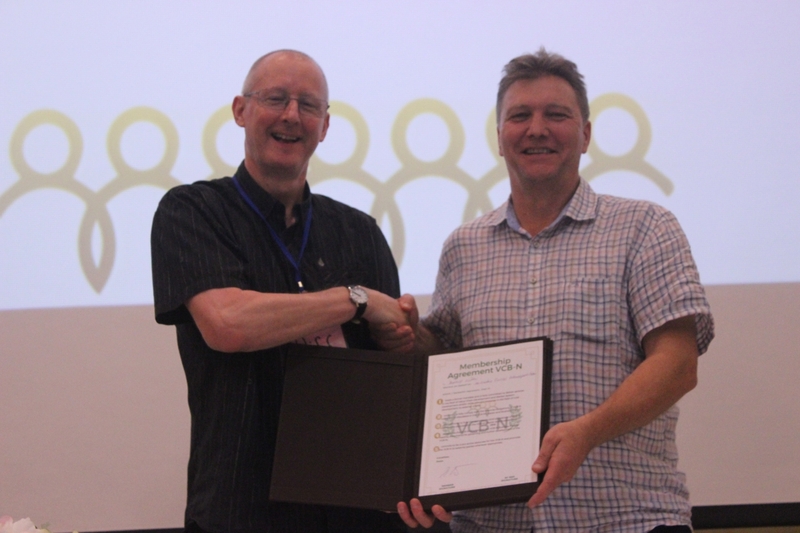 All members thanked the out-going chair for his leadership and guidance in the early years of the VCB-N and welcomed Mr. Sarwar as the new chair. 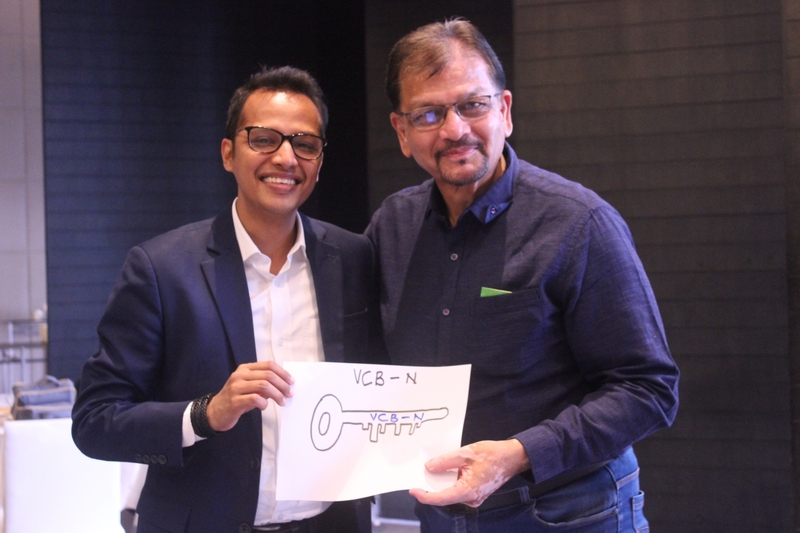 With the formalized commitment of existing members, the interest of new aspirant members and the enthusiasm, entrepreneurship and visionary spirit of the new chair, we can expect to hear much more from the VCB-N in the near future. 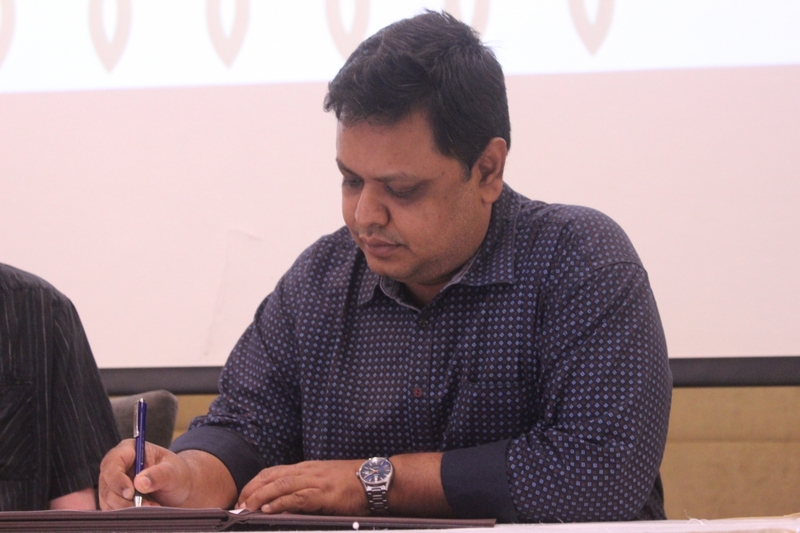 The outgoing chair of the VCB-N Mr. Tabrez Nasar from ILRT, India hands over his position to the new chair. 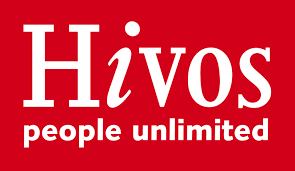 Mr. Rubaiyath Sarwar from Innovision Bangladesh. 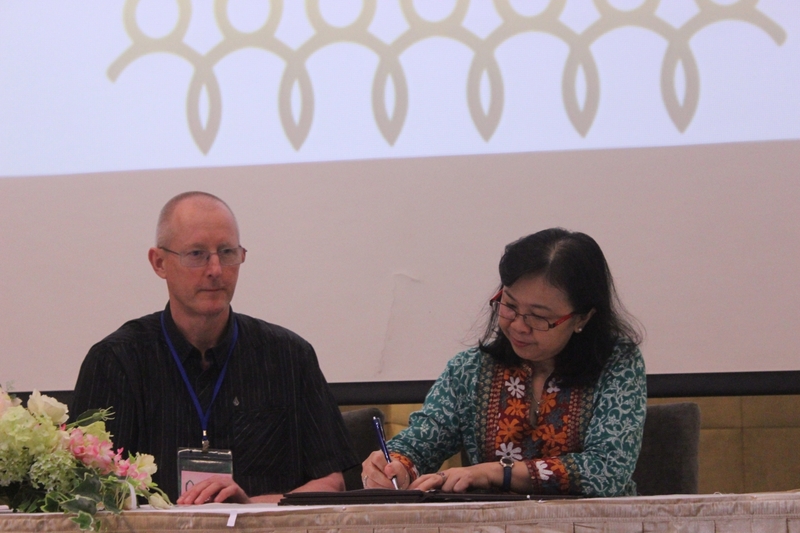 Members signing the Membership Agreement confirming full commitment to the VCB-N Charter and Business Plan.